Math and programming in style. 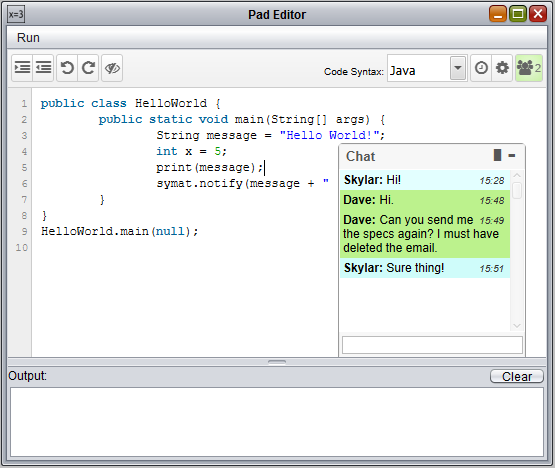 Edit files in real-time over the Internet, and use the SyMAT Wiki to learn and teach others. Solve complex algebra and calculus, or graph functions. A simple tool for easy programming. A free online service for code collaboration with built-in automatic version control and change tracking. Share code files with anyone, even if they don't have SyMAT! 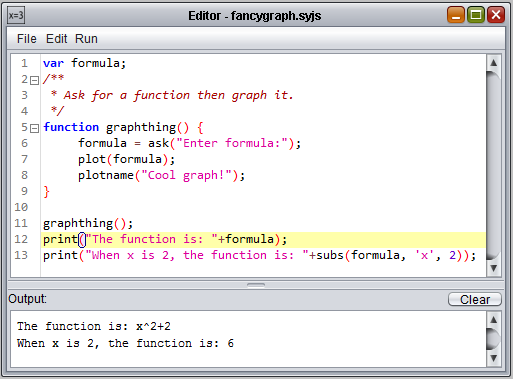 SyMAT is loaded with a lot of cool features. Here's a few other things you can do. You'll need a license to use SyMAT after the included trial period. SyMAT is open source! 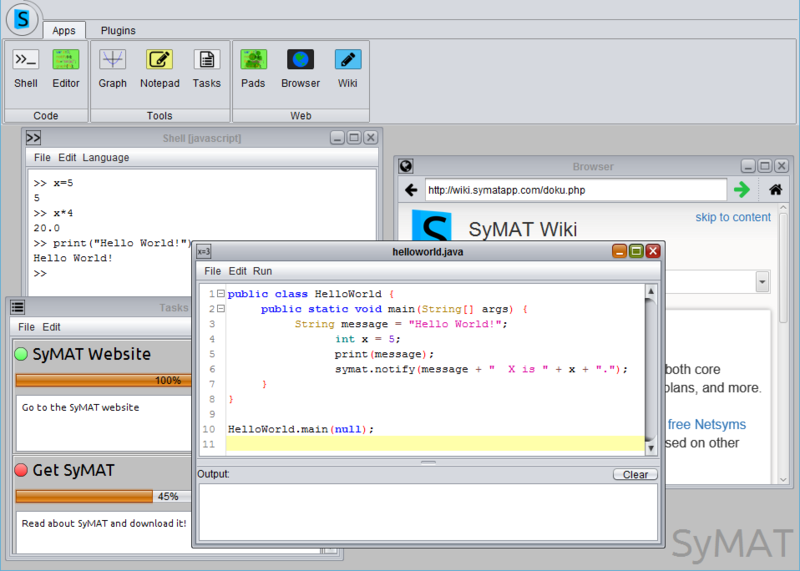 Use the source code to learn more about how SyMAT runs. Just click below to go to our GitHub. © 2015 Netsyms Technologies. All rights reserved.